In many ecosystems, plants represent the center of biological interactions with various organisms, and chemical communications are essential for those interactions, establishing dynamic networks around plants and the ecosystems they reside in. Various organisms secret primary and secondary metabolites into the environment therefore acting as signaling molecules, for reproduction or defense purposes, for instance. Plants, in turn, sense these chemicals as cues to recognize other organisms. The recognition of these chemical signals may cause modifications in plant development, including the generation of new cell types and new organs. Gall-like structures can be induced by a number of organisms that infect plants, such as root nodules induced by rhizobium, and galls induced by plant parasitic nematodes and insects. Parasites and symbiotic organisms induce different types of plant responses, and sometimes they hijack the plant’s endogenous signaling pathways for their own purposes. For example, plant parasitic nematodes and rhizobium both utilize root formation-related signaling pathways to induce cell division and form gall or nodule in order to survive in plant roots. Furthermore, cell wall compositions are often modified in response to developmental reprogramming during biotic interactions in plants. During gall formation, for instance, secondary cell wall synthesis is repressed in regions with high cell division rates. Therefore, by monitoring cell wall composition, we may gain insights on the status of development modifications in response to biotic interactions in plants. - Plant endogenous signaling pathways regulating new organ formation. - Cell wall components involved in plant-PPN (Plant Parasitic Nematode) interactions. - Gall formation induced by insects, such as Schlechtendalia chinensis, Calprilia cecidophora, and Borboryctis euryae, comprising investigations on molecular and cellular mechanisms involving auxin, cytokinin and CLE-peptide signaling. - Physiological, ecological and evolutionary aspects of biological interaction between plant and gall-forming insects, aphids or Gracillariidae, from the plant standpoint. 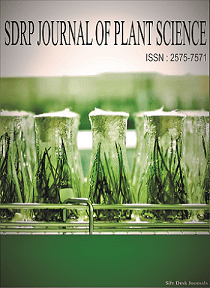 - Stunting and development of root beard in sugar beets due to Rhizomania disease. - Root multiplication due to Agrobacterium rhoizogenes. - Thickening of stems due to white rust infection in crucifers. - Witches’ broom due to loss of apical dominance.